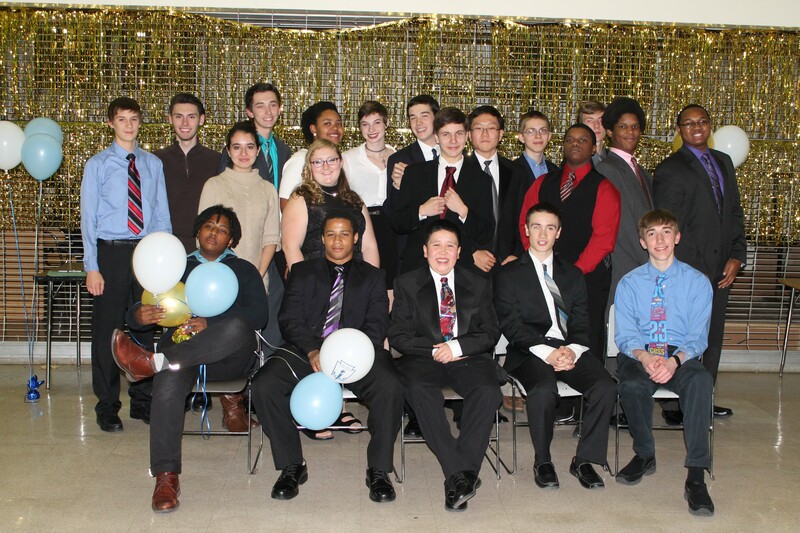 On Monday, November 10th fifteen SciTech students were inducted into the National Honor Society. On November 10th, another group of students were formally inducted into SciTech’s chapter of the National Honor Society. At SciTech, students become eligible for NHS at the end of their sophomore year. Students must have a minimum GPA of 3.3, exhibit excellence in character, exercise strong leadership skills inside and outside the classroom and demonstrate a commitment to service. After a welcome from Principal Shawn McNeil, senior members spoke on the four pillars of NHS: Character, Leadership, Scholarship and Service. New members were inducted in a candle-lighting ceremony by Advisor Wendi Obritz and Director James McCoy. The officers for the 2014-2015 school year were also installed. Getting inducted into the NHS was a surreal feeling. It was less of a “Hey, you’re awesome!” type of celebration and more of a “Hey, look at all of the opportunities you have ahead of you because of how awesome you are!” type of celebration. Having a world of possibilities opened up due to my general nature and how I behave naturally in and out of school is a gift that I’ll always be proud of, and the ceremony perfectly symbolizes how important our new roles are but also how special and sacred they are. Maintaining the requirements necessary to be inducted isn’t a walk in the park, but the reward – the chance to get dressed-up in a nice suit and celebrate you and your peers’ excellence while embracing the fact that the few or many of you will soon be making a difference in the world – is something I’d never pass up.